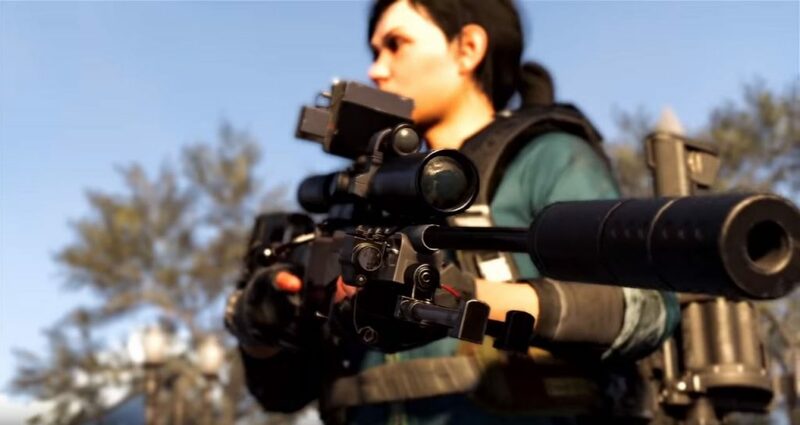 Nemesis is an exotic marksman rifle in The Division 2. It’s one of the two new weapons added in the Tidal Basin update, and it’s a sniper rifle from the Black Tusk arsenal. Unlike the other one, you’ll have to craft it. This means collecting a series of parts and getting the appropriate blueprint. If you’re wondering how to get it, our Division 2 Nemesis exotic weapon guide will show you. NOTE: Part of getting the rifle seems to be tied to weekly resets, which means nobody has been able to get it yet. We’re going to tell you what we know, and update the guide with new info as soon as it surfaces. How to get Nemesis exotic sniper rifle? The first step involves finding the Marksman Rifle Scope: The Tally. To get it, you’ll need to deconstruct a specific weapon – the Adrestia SR1 sniper. You’ll find it in the Tidal Basin stronghold. First you’ll need the keycard from the bedroom above the laptop you use to intercept Black Tusk comms. The case with the weapon itself is in the hovercraft, after the fight in the hangar. Instead of following the objective marker to the right from the control room, go left. The next part is Marksman Rifle Barrel: The Scourge. Players who obtained it report it dropping from Prime, the boss in the invaded Capitol Building stronghold. It doesn’t seem to drop from the normal version of the stronghold – it has to be invaded. You’ll find Marksman Rifle Bolt: The Scales from the invaded version of Roosevelt Island. Since invaded strongholds are on a weekly rotation, it might be safe to assume we’ll get three more parts this way, from the bosses at the other strongholds. However, it’ll involve some waiting, especially if you miss a week. It might sound odd, but every other looter shooter has at least one weapon that takes weeks to obtain, so better be ready. We haven’t obtained the gun yet ourselves, but we’ve heard chatter about what the talents are going to look like. The first one’s supposedly called Counter-Sniper, and it allows you to charge shots. Holding down the trigger will charge shots, making them do more damage. If a charged shot doesn’t kill the target, the next one will charge faster. Then there’s the Nemesis talent, which marks enemies for 15 seconds when you aim at them. This allows you to see them through walls, and gives you 5% more damage against them for each second they spend marked (capped at +50%). Finally, the Preparation talent gives you +25% headshot damage with other weapons when this one is holstered.